Available in 2.5, 5, 20 and 100 Litres. Mahogany, Jacobean Walnut, Medium Oak and Dark Oak are semi transparent wood stains not surface coatings. Tintable in most colours and finishes. Offer On Matt Black - While stocks last! Bedec Barn Paint a water based paint for wood, plastic, concrete, weathered galvanised steel, plastic, brick and cladding. Available in a large range of colours and finishes. Please contact us for further information. Bedec Barn Paint is available in a Semi-Gloss finish, although Black and White are available Matt, Satin and Semi-Gloss. Barn Paint is a water based paint coating which is ideally suited to provide protection to exterior wooden, metal and plastic cladded buildings. Bedec Barn Paint can be applied to previously painted surfaces, including those coated with weathered bitumen, tar, or varnish. It is tough and durable coating which has excellent colour retention. This coating will flex with the substrate, which reduces the likelihood of flaking or cracking. Bedec Barn Paint Mahogany, Jacobean Walnut, Medium Oak and Dark Oak are semi transparent semi gloss wood stains and are formulated to stain the timber rather than being a surface coating, please call if you require further information. 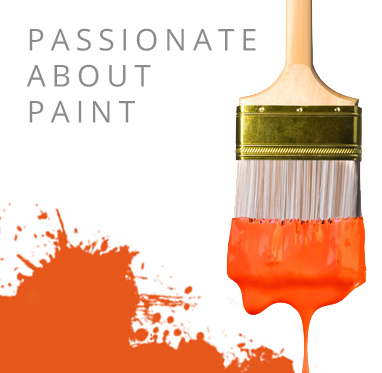 Why Choose Bedec Barn Paint? Bedec Barn Paint is a tough and highly durable water based paint that offers excellent colour retention against the effects of UV. Bedec Barn Paint can be easily applied by brush and roller to timber cladding and other products including weathered galvanized steel, concrete, and many plastics. Promain offer Bedec Barn Paint in a variety of colours, including Matt Black, Satin Black, Gloss Black, Grey, Country Cream, Dark Oak, Chestnut and Jacobean Walnut and is available by special order in most BS 4800 and RAL colours. View our latest Case Study about Matt Black Bedec Barn Paint, if you would like to see what it can achieve. Bedec Barn Paint is a perfect solution for the protection of exterior buildings such as barns, stables, outbuildings, sheds, silos, windmills, and factory units (including corrugated and metal box cladding). It is highly recommended for coating fencing, gates, farm equipment, tanks, drainpipes, doors, windows and many other substrates that may be found in gardens, farms and factories. Bedec Barn Paint can be applied to previously painted surfaces, even those coated with weathered bitumen, tar, varnish. It is tough, durable and has excellent colour retention. It will flex with the substrate rather than flake or crack. Suitable for many applications including fencing, posts, log stores, timber garden furniture, guttering, rough-sawn exterior and weathered galvanising without the need for a primer. This product is not recommended for substrates which have had water repellent preservative treatments applied. After cleaning with either a suitable cleaner or for areas where there is green growth use Centrecoat GS36 before applying the Barn Paint. Bedec Barn Paint does not require a primer and can be applied by brush, roller or spray and is touch dry within two hours. Make sure the surface is clean, dry and free from contaminants before the application process is begun. It is advised that 2 coats of Bedec Interior/Exterior Stain Block are applied to knot’s before the application of Bedec Barn Paint, this will reduce the rate that knot’s will appear through the Barn Paint. Do not apply at temperatures below 10°C and make sure the product is stirred thoroughly before use. After four hours, the product should be able to be re-coated with another layer of Bedec Barn Paint. Please note, if you are using this product on tanilised timber a light sanding is recommended prior to painting. Bedec Barn Paint is a tough, durable, microporous system, that has been specially designed for use on exterior buildings such as barns and industrial units. Bedec Barn Paint is a versatile product which can be used on substrates such as wood, plastic, concrete, weathered galvanised steel, brick and cladding. A hard wearing product, it provides excellent resistance in outdoor environments, even when exposed to rain and severe weather. Here at Promain, we have a range of Barn Paint to choose from. The Bedec Barn Paint is the most popular option thanks to the number of colours available and the quality of the product. Tintable: Tintable to most popular colours including RAL and BS shades. Please note, bespoke tints are non refundable / exchangable.